Choosing the right web host is critical for your website's success. Get introduced to the world of web hosting and what you need to consider. Is free web hosting a good decision for a small business serious about their online presence? Probably not, but learn why this is probably not a good situation for your website. What is shared hosting and why does your business need to be concerned about it? Find out about shared web hosting and what it means to your business website. Learn what VPS web hosting is and why it should be an important part of your online plan. Learn what managed web hosting is and how it compares to the other types of web hosting. If you're managing a WordPress web site, you might want to heavily consider VPS managed hosting just for WordPress. Learn what this option can do for your business. Is your website as fast as it could be? Find out why fast loading web pages are crucial and what you can do to speed it up. Is your website safe? Or are you vulnerable to hackers? As a small business, you may have more to worry about that you're aware of. Learn how to keep your website safe and secure. Get a list of what you want to consider when you're picking a web host for your business website. Is dedicated web hosting an option for small business or overkill? Learn the ins and outs. As a small business, how do you know what kind of web hosting to pick? It’s all the same, right? In reality, website hosting can have drastically different levels of service. Many small businesses don’t even realize that they have a choice when it comes to web hosting. In this course, you’ll be introduced to six different types of web hosting for small business and you’ll be presented with the pros and cons of each. In many cases you get what you pay for, but there are other considerations in web hosting besides the monthly cost. There are many hosting factors that influence your website’s ability to be listed in Google’s search results, present a fast user experience, and provide a safe place for visitors to come and learn about your company. With over 30,000 small business websites getting hacked every day (according to Forbes.com), security is just one hosting factor that you need to take into consideration. For more information on how to pick the best website hosting for small business that run a WordPress website, be sure and get our free ebook: How to Find the Best WordPress Hosting for Small Business. 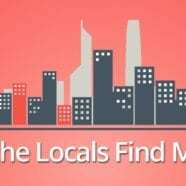 House Calls with The URL Dr. Online Marketing Videos Why Can’t the Locals Find My Website?